Since his first pro gig at the age of 16, he’s played thousands of sessions. You can hear him on recordings by everyone from The Mamas and the Papas, to Dizzy Gillespie, Pink Floyd and Frank Sinatra. He’s had success as a sideman, in touring groups and his own best selling and albums on the jazz charts, and was a founding member of the jazz fusion group ‘Fourplay’. 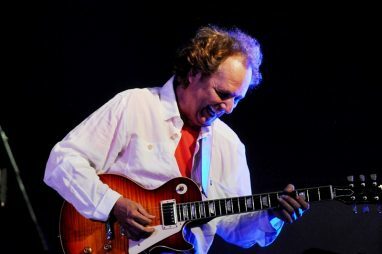 Through it all, as one writer put it, Lee Ritenour’s sound remains ‘unflappably cool’, and he’s bringing it to Folsom’s Harris Center on January 12th. With his mix of jazz with Brazilian, funk and R&B rhythms, he’s created a unique, captivating sound, all his own. Don’t miss this night of great music from a master guitarist. Friday January 12, 8pm at Harris Center. PS. Tom Rigney and Michael Doucet bring their cajun party to Harris Center on January 26!